What are the benefits to playing hockey? More than a Game - Hockey develops skills on the ice that build a foundation for a lifetime. In addition to athletic prowess, hockey promotes confidence, pride, focus and responsibility. With an emphasis on fun, hockey is a game to be played and enjoyed for life. Life-long Friendships - Starting with the bonds created in the locker room to the relationships formed on the ice, hockey creates life-long friendships. This camaraderie shared on and off the ice encourages teamwork and the natural development of leadership skills. Set Up for Success - From learning to balance school, responsibilities at home, time at the rink and playing with friends, hockey encourages kids to learn time management skills that will later serve them in all facets of life. Hockey’s unique source of physical fitness promotes healthy living. Hockey is Fun - The thrill of carrying the puck up the ice on a breakaway, the exhilaration of scoring your first goal or making that amazing save is possible due to the encouraging environment hockey provides to try new things and grow as a hockey player and person. Players can be as young as 4 to begin our programs. We have an excellent Learn to Play Program, along with organized teams. The equipment your child will need is: skates, stick, helmet/facemask, gloves, shin pads, elbow pads, shoulder pads, hockey pants/brezzer, neck guard, mouthguard and a protective cup. All of this equipment (excluding the protective cup and mouthguard) may be borrowed for FREE for the Learn to Play program. Once a player exits the Learn to Play program, equipment must be returned. Read more on equipment from USA Hockey. How does my child put on the equipment? USA Hockey has created a video that shows the proper equipment and how to put it on: watch video. Also, feel free to ask coaches and other parents for help! When do we arrive to the rink and what do we do when we get there? Most families arrive at the rink 15-30 minutes before a practice and 30-60 minutes before a game. It's important to arrive at the rink in enough time to put on all the equipment and be ready to go onto the ice before the ice resurfacing machine gets off the ice. For most kids this is 15-20 minutes. For some families, the players put on most of the equipment prior to coming to the rink and therefore only need to put on skates, helmet and gloves, greatly reducing the amount of time needed at the rink before practice. What is the etiquette of the locker room, can mothers come in too? Parents, including mothers, are strongly encouraged at the young ages to be in the locker room with their child. Most children will need help from their parents to get on all the equipment, especially the skates. Additionally, this is a time to not only bond with your child, but to meet and bond with other parents in the program. Not only will children make lifelong friends, parents will too! How do I know if my child is left-handed or right-handed? For young children starting out, USA Hockey recommends they use a stick that does not have a curve. Many times if you give a child a stick with a curve they will hold the stick in that orientation, even if that is not he most comfortable for them. If you have a stick with no curve and hand the stick to the child asking them to hold it, they will naturally hold the stick the direction that is most comfortable. If they hold the stick with the right hand being the lower hand, they are "right-handed." Conversely, if the left hand is the lower hand, they are "left-handed." For Learn to Play and "house" programs, there is little to no travel. Occasionally you may travel to either jamborees or tournaments. "Travel" teams do travel to rinks throughout the St. Louis area for away games. Generally half of all games are played at Washington Park Ice Arena in Jefferson City and the rest will depend on which teams are included in your league. How many games will make up the season? The hockey season begins at the end of October and runs through the end of February (practice starts at the beginning of September). You can expect games at least two weekends out of the month. What is the ADM model and its purpose? The American Development Model or ADM, is a nationwide model for successfully developing American hockey players. It is a tool that will ensure every kid will have the same chance to succeed. For more information, visit ADMKids.com. What kind of training has the coach received? In order for a coach to be on the ice and coach in the 8u division, they must first register with USA hockey and attend a 4-6 hour Level 1 Coaching Clinic. Additionally, coaches must take a 4 hour Online age specific module. Between the 4-6 hour classroom and 4 hour Online module, coaches go through an extensive training course to ensure they are providing your child the best possible experience. Each year they can progress their coaching education through level 5. Is the sport of ice hockey safe for my child? Yes. Hockey players wear more protective equipment than any other sport. A study has shown that ice hockey injuries ranked after both basketball and soccer in emergency room visits related to sport and recreational activities. Youth hockey is a different game than the NHL. With a different set of rules in place, youth hockey places a stronger emphasis on sportsmanship and friendly competition. Body Checking is not allowed through the Peewee level (age 11 & 12). After Peewees, checking is allowed but NO Fighting. Learn to play and Mite programs focus on skill development, while keeping things fun. Learn to Play practices for one hour a week over the course of three 6-week sessions running from September thru February. Mites practice twice a week for one hour, starting in September and running thru the end of February. 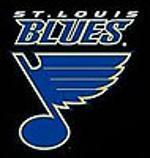 Both programs involve little to no travel to St. Louis. Travel programs are more competitive and require more of a time committment. Older levels practice twice a week for one hour, starting in September and running thru mid-March. Travel to St. Louis is required for away games.